There are two new books out by journalist and historian Daniel K. Longman. 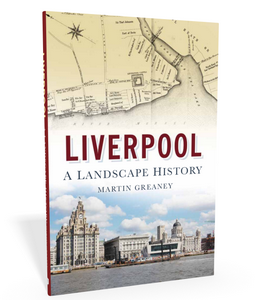 Both are short books, and part of larger series, but take two different views of the city of Liverpool. They both cover history, but are they both for you? 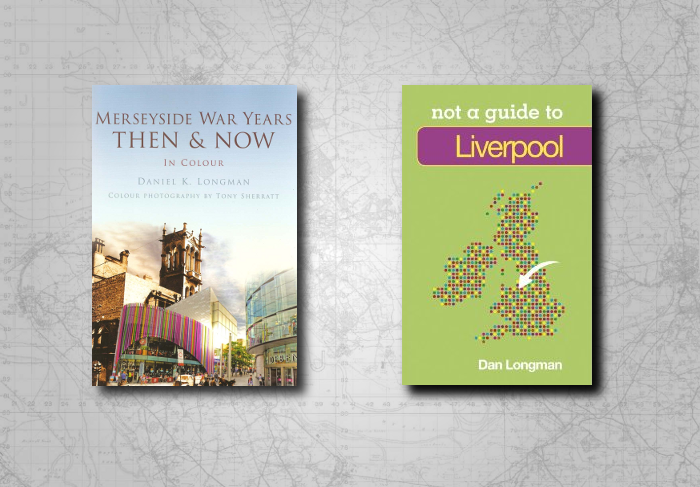 Not a Guide to Liverpool is a pocket-sized paperback which does for Liverpool what has already been done for the likes of Manchester, Leeds and York, ie. bringing together a collection of facts, figures and snippets about the city, its history and its future. It’s like a Schott’s Miscellany of Liverpool, and we’ve all seen where those attempts can lead. Merseyside War Years is part of the Then & Now series from The History Press, in conjunction with a favourite site of mine, HistoryPin. Dan Longman wrote the text, and Tony Sherratt took the photos. It’s like a hard copy version of the HistoryPin website, with pairs of photos showing views of Liverpool from around 100 years ago compared to today. The recently-reviewed Hoylake book is from the same series. Daniel K. Longman should be well-known to readers of his Echo column and his own website as an author fascinated with the macabre side of history. His writing is full of gruesome murders, dramatic court trials and unfortunate ends befalling Victorian Scousers. Not a Guide to Liverpool has its own fair share of these stories, as well as tales of strikes, beheaded Beatle-bushes, freaky weather and much more. The majority of the book, however, consists of facts – population, weather, buildings, statistics, important dates, twinned towns and what famous people have said about the town. The history enthusiast may also be interested in the architectural lists: both the best and worst buildings are covered. The usual suspects are in the former category (St. George’s Hall, Liver Building), which is probably a more familiar topic. However, the negative list is perhaps more interesting, highlighting such ‘beauties’ as the Capital Building (the ‘Sandcastle’) and the Metropolitan Cathedral. Personally, I’ve grown to love Paddy’s Wigwam, and Longman notes that many people could name worse offenders across the city, but it’s god to see something of a talking point amongst these pages. And this is the greatest strength of the book – the ability to poke fun at itself (and isn’t Liverpool master of that?) rather than glorifying the place like some semi-historical books do. There’s also a checklist at the end of the book: ‘Things to do in Liverpool’, which the author suggests you go through if you’re only in town for a little while. The best tourism spots are listed (cathedrals, museums, galleries) as well as the easy-to-overlook Yellow Duckmarine, and of course a bowl of scouse. This small book is a great overview of the city. Natives may find everything in it familiar, but if you’re visiting Liverpool for the first time then it could be a useful book to pick up on your way, and browse through in your hotel room. It doesn’t hide the grimier side of Liverpool life past and present (that’s the whole point of the Not a Guide… series), but I think that’s what modern visitors want to see. For historians, it’s probably not an essential purchase, but if you’re looking to supply someone with Liverpool-in-a-nutshell, you could do worse than this summary from someone who lives and works in the city he writes about. 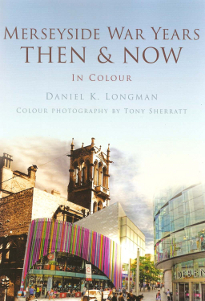 The second book is another Longman volume, part of The History Press’s Then & Now series. It’s another thin book, but a hardback and one you won’t need to take out with you. As with the others in the series, the whole book is taken up with large colour and black-and-white photos of the area, charting how the landscape has changed over the past 50-100 years. The main alterations are the result of bomb damage and ‘regeneration’, and Longman has chosen a number of images which show the immediate aftermath of air raids. 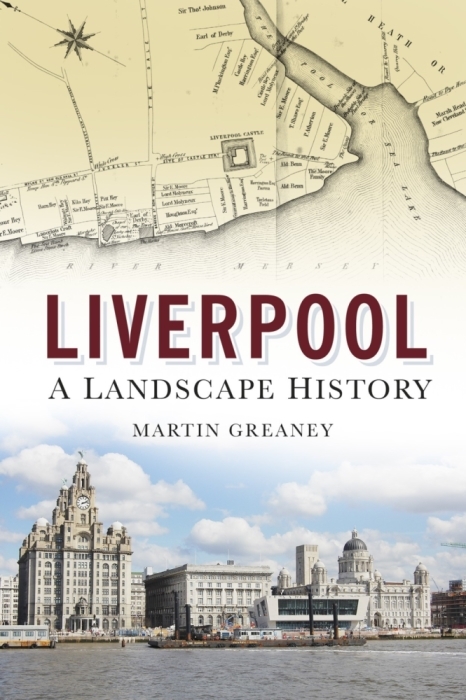 Perhaps this is another aspect to the author’s love of dramatic history, and it certainly serves to highlight the big changes seen on Merseyside in the 20th century. In comparison to Not a Guide… this is almost history at its purest, and the best photos are those which show one side of a street unchanged, with the other home to a glass-fronted shopping arcade or a playground. Other shots take some getting your eye in before things click, but as a landscape archaeologist this is exactly the sort of thing I like to see in a glossy volume like this one. It’s very easy to read, although occasionally it comes across as an advert for the city when this is unnecessary, particularly the paragraphs under the modern photo where commentary slips into praising a jeweller’s “fine reputation for intricate repairs and bespoke designs”. But this is a small complaint in what is generally a great book. The photos make up the other aspect of the volume, and these are by Hull-born photographer Tony Sherratt. Some of these are the ‘HDR‘ type of photograph which leads to a recognisable style of over-saturated colours. Many books over-do this effect, but Sherratt’s images contain just the right mix alongside ‘normal’ shots, and it is only the ultra-modern city centre which gets the HDR treatment. Almost all the shots are very close approximations to the older images they are covering, and so even the vastly different streetscape of Lord Street/South John Street is comprehensible once you get your eye in. For the historian, this is definitely the better of the two to get. It’s a short read, but the photos will keep you coming back again and again, and the extra information offered in Dan Longman’s text make it worthwhile. Dan Longman has established himself in recent years amongst the growing band of Liverpool history writers. These two books demonstrate that the past shouldn’t be consigned to the history books – it’s also essential to the writing of a modern guide to the city as a whole! For history geeks reading this blog, and interested in the changing city landscape, Merseyside War Years is the book to buy. 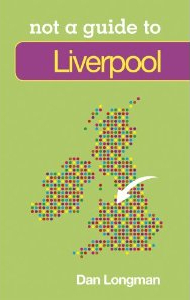 You probably won’t find much new in Not a Guide to Liverpool, but perhaps you can encourage a friend or two to visit you, and carry this book as you take then around town! A copy of each book was kindly supplied for the purposes of this review by The History Press. Both of these books are available on Amazon. If you click on the covers here then any purchase on Amazon will send a few pennies my way to help with the upkeep of the websites.